Forty of Montana State University’s top seniors and their faculty and staff mentors were recognized February 19, 2019 at the 37th annual Awards for Excellence event. The student recipient from ECE was EE senior Margaret Scott. Pictured with Margaret is Prof. Jim Becker, who was recognized for his mentorship. Congratulations! Lots of interesting projects displayed at the semi-annual Design Fair this spring! Here are just a few examples. Elizabeth Bastian with ECE Department Head Todd Kaiser (4 May 2018). The Montana Society of Engineers annually awards the Gold Medal to the top MSU engineering graduate, based on academic accomplishment, involvement, an essay, and a face-to-face interview. This year ECE graduate Elizabeth Bastian received the Gold Medal award. Congratulations, Lizzie! At the MSU Spring Convocation, Prof. Jim Becker received the President's Award for Excellence in Teaching, and Prof. Ross Snider received the Outstanding Academic Advising Award. At the Spring Convocation, Prof. Todd Kaiser received the Phi Kappa Phi Anna K. Fridley Distinguished Teaching Award. MSU ECE senior Carol Baumbauer has won a prestigious National Science Foundation Graduate Research Fellowship. Carol plans to enter the graduate program at the University of California-Berkeley. Congratulations, Carol! Dr. Klein Gilhousen, co-founder of Qualcomm, Inc., and benefactor of our Gilhousen Endowed Chair in Telecommunications, passed away in April, 2016. The ECE Department joyfully remembers Dr. Gilhousen's support and encouragement of Montana State University. For more than a dozen years, ECE faculty, staff and students have provided a hands-on learning session for Expanding Your Horizons, an annual event for middle school girls interested in engineering, math, and science. A team of Montana State University students, including ECE senior Sarah Juedeman, took top honors in the Montana Mathematical Modeling Challenge held in Helena. The MSU team won the highly-competitive essay competition, topping the field of fifteen teams from five colleges. The Fall 2014 issue of Montana State University's Mountains and Mindsmagazine has a profile of Dr. Rob Maher, the ECE Department Head, covering his work with ECE and Music students. Derek Joseph Brown, a student studying electrical engineering in our department, was killed in a tragic traffic accident on Wednesday, Septmber 17, 2014. We express our sincere sympathy to Derek's family and to his many, many friends at Montana State University. This fine young man will be greatly missed by all of us. 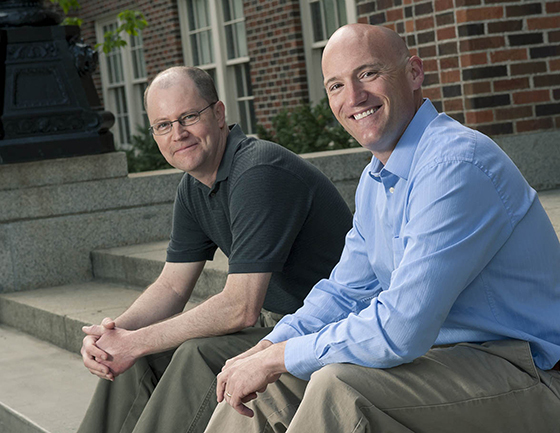 Prof. Jim Becker and Prof. Brock LaMeres are noted for their work in instructional improvement and assessment. In an interesting coincidence, two papers separately authored by Jim and Brock appeared in the same issue of IEEE Transactions on Education, an important and influential scholarly journal in engineering education. Prof. Joseph Shaw received the Wiley Award for Meritorious Research and Creativity for his work with optical remote sensing systems and LIDARs. Prof. James Becker received the Phi Kappa Phi Anna K. Fridley Distinguished Teaching Award in recognition of his superior work as an instructor and mentor. Prof. Brock LaMeres was recognized with the Online Teaching Award for his accomplishments in teaching and pedagogical research using online approaches. Prof. David Dickensheets earned the Provost's Award for Undergraduate Research/Creativity Mentoring in recognition of his guidance of undergraduate students in his research lab. In recognition of his many years of membership in the IEEE and his status as an IEEE Fellow, Professor Hashem Nehrir has been designated as an IEEE Life Fellow. The Life Fellow designation is granted to a fellow who is at least 65 years old, and for whom the sum of the members age and the number of years as an IEEE member exceeds 100. Prof. Kevin Repasky received the Meritorious Technology/Science Award for his work in laser remote sensing systems. Prof. Brock LaMeres received the Teaching Innovation Award in recognition of his accomplishments in online education and undergraduate student design. Prof. Rob Maher was recognized with the Academic Advising Award for his outstanding effort in supporting and improving academic advising at MSU. Prof. Rob Maher, MSU Professor and Department Head of Electrical & Computer Engineering, received a 2012 Outstanding Advising Award from the National Academic Advising Association (NACADA) at its national meeting in Nashville, Tennesee. ECE Professor Joe Shaw was awarded the campus-wide Cox Family Faculty Excellence Award at the MSU Spring 2012 Convocation. The award recognizes a faculty member who has produced superior research and also demonstrates excellence in upper division/graduate instruction. The award is based on the teacher’s knowledge of subject/discipline, ability to impart that knowledge, sensitivity to students’ needs, enthusiasm, use of technology, advising, or other qualities. The award is based on the faculty member’s demonstrable union of superior research with excellence in upper division/graduate instruction. The purpose of the award is to recognize an MSU faculty member who has distinguished him/herself in undergraduate teaching. We congratulate our fine colleagues for this highly-deserved recognition! [see MSU News Service article]. A major thunderstorm came through Bozeman the afternoon of June 30, 2010, dropping tennis ball-sized hailstones on the campus. The ECE Department survived the onslaught, although numerous windows in Cobleigh and Roberts Halls were broken. One ECE staff member was slightly injured by flying glass. University officials estimate up to 1000 windows were broken across campus, with repair costs running over $100,000. ECE Professor Joe Shaw documented the approach of the storm that fateful day [see storm photos by Joe Shaw]. We congratulate our students and faculty who earned special recognition awards this spring. Congratulations! The Spring 2010 Engineering Design Fair on April 29 was a great success! Thank you to the students, project sponsors, and faculty advisors for all of the outstanding work. The ECE Department presented two awards this spring for outstanding publications by graduate students. The Donald A. Pierre Graduate Student Publications Award is named in honor of Professor Emeritus Don Pierre, and recognizes top publications in two categories: conference proceedings paper, and professional journal paper. The cash awards this year are in the amount of $250 and $500, respectively. Nominees for the publications awards were reviewed by the ECE Graduate/Research Committee and recommended to the Department Head. A. Khallaayoun, A. Olson, M. Panique and Y. Huang, “An Adaptive Smart Antenna Testbed for WiMAX Radio,” IEEE Mobile WiMAX 09 Conference, Napa Valley CA, July 7-9, 2009. C.M. Colson, M.H. Nehrir, M.D. Deibert, M.R. Amin, and C. Wang, “Efficiency Evaluation of Solid-Oxide Fuel Cells in Combined-Cycle Operation,” ASME Transactions, Journal of Fuel Cell Science and Technology, Vol. 6, May 2009. Congratulations to Ahmed and Chris for your fine work! Dr. Hashem Nehrir has been promoted to the grade of IEEE Fellow for his "contributions to alternative energy power generation." Congratulations, Prof. Nehrir! Fewer than one-tenth of 1% of IEEE members are named Fellows each year, so this is a significant professional honor. Prof. Todd Kaiser taught a new solar cell fabrication course for teachers enrolled in MSU's Master of Science in Science Education program. The course is scheduled for a repeat in 2010. Congratulations, Dr. McLeod, on your retirement and your recognition by the Board of Regents! November, 2009: Our colleague Muriel Holmquist recently celebrated her 20th anniversary working for the Electrical & Computer Engineering Department. Congratulations and thank you, Muriel!! Dr. Bill Jameson, retired ECE professor and IEEE Life Senior Member, was honored with the 2009 Region 6 Award for Outstanding Leadership and Professional Services at the IEEE Montana Section meeting in Bozeman on October 21, 2009. Dr. Jameson was selected due to his outstanding engineering career that has demonstrated excellence in education, research, and service to the professional and general communities. Leonard Bond, IEEE Region 6 director, Mahbub Khan, the R6 Awards chair, Gordon Day, the current IEEE-USA president, and Evelyn Hirt, the incoming IEEE-USA president, all sent their personal congratulations to Bill for this accomplishment. IEEE Region 6 covers Alaska, Arizona, California, Hawaii, Idaho, Montana, Nevada, New Mexico, Oregon, Utah, Washington and Wyoming. Bill Jameson has conducted research and development in many diverse fields, including nuclear weapons operation and effects, molecular systems as applied to missile and space technology, mathematics and computation analysis for non-linear heat conduction and point source problems, aircraft and collision avoidance systems, wave propagation analysis, atmospheric attenuation, aviation sensors, computer-aided design, computer I/O, electro-magnetic interference, public safety communication system design and implementation, network design, telecommunications, video conferencing, digital television, propagation analysis, and transportation. As a result of his work, he has published peer-reviewed articles and presented at technical conferences. He is a contributing author to a widely used communications systems text, and has published several papers for the IEEE, related to engineering education. Dr. Jameson has held numerous officer positions in IEEE including Section Chair for both the Montana and the Cedar Rapids Sections. He continues IEEE involvement at the national level, actively serving on the Life Member Committee. He has served in national-level officer positions for the Society for Industrial and Applied Mathematics, has chaired a conference, and is a member of Sigma XI and the Iowa Academy of Science. He initiated the Montana section newsletter, the Moose Call, and continues to serve as its editor. Bill has been involved with Kiwanis since high school and has served in state and local officer positions, and is the newsletter editor for the Bozeman Kiwanis Club. He has also served on numerous state and national public safety communications committees, task forces, and councils. Dr. Brock J. LaMeres, Assistant Professor in the Electrical and Computer Engineering Department, and Dr. Carolyn Plumb, Director of Educational Innovation in the College of Engineering, were recently awarded a $150,000 grant from the National Science Foundation (NSF) to study how student learning is impacted by incorporating measurement-based, online laboratory experiments into engineering courses. Congratulations, Prof. LaMeres! This important project was selected based on peer review by NSF's highly competitive Course, Curriculum, and Laboratory Improvement program. Over the past decade, technology has enabled wide spread adoption of online course delivery. While online education is attractive from a cost and convenience point of view, engineering courses are often unable to offer this method of course delivery due to their heavy reliance on hands-on laboratory experiments. Prof. LaMeres and Dr. Plumb will develop a set of measurement-based, online laboratory experiments that will be used in a junior level microprocessor course. Prof. LaMeres is hopeful that the results will lead to expanded online course offerings without sacrificing the importance of hands-on lab work. We congratulate the achievements of all of our students and faculty, and celebrate the specific academic accomplishments of these awardees! Dr. Bernie Krause, CEO of Wild Sanctuary, Inc., presented two special seminars at MSU this week. The first was an audiovisual demonstration and workshop featuring the impact of natural soundscapes on a wide range of disciplines at 7:00PM on Thursday, Dec. 4, 2008 in 103 EPS. Then Dr. Krause presented the College of Engineering seminar on Friday, Dec. 5, 2008, at 3:10PM in 101 Roberts Hall. The Audio Engineering Society (www.aes.org) presented the AES Fellowship Award to Dr. Robert C. Maher during the opening ceremonies for the 125th Convention, October 2, 2008, in San Francisco. The Fellowship Award citation specifically recognized Prof. Maher "for research contributions in, teaching of, and service relating to digital audio signal processing." The AES Fellowship Award is given to a member recognized to have made a valuable contribution to the advancement in or dissemination of knowledge of audio engineering or in the promotion of its application in practice. Prof. Maher is internationally recognized as an accomplished engineering educator, R&D manager, and audio innovator. Congratulations, Rob! Check out the MSU News multimedia feature about ECE Prof. Joe Shaw and his students who designed, built, and tested an aurora borealis detector. ECE doctoral student Chris Colson received the Best Student Poster Award for his work entitled "Distributed Generation Power Management for Microgrids," at the 2008 IEEE Power Engineering Society General Meeting held July 20-24 in Pittsburgh, PA. Chris Colson's doctoral advisor is ECE Prof. Hashem Nehrir. More than 70 students from universities around the world participated in the poster competition. Second and third place awards went to students from Georgia Tech and West Virginia University, respectively. Congratulations also to ECE graduate student Amin Nehrir, who was awarded the best poster award and monetary prize at the 24th International Laser Radar Conference (ILRC), for his paper entitled "Water Vapor Profiling using a Compact Widely Tunable Diode Laser Differential Absorption Lidar." The ILRC conference took place in Boulder, CO, as a part of the International Coordination Group on Laser Atmospheric Studies (ICLAS). Amin's work was selected out of approximately 290 posters. The National Aeronautics and Space Administration (NASA) has announced that ECE grad students Amin Nehrir and David Hoffman have received NASA Graduate Student Researchers Program (GSRP) fellowship awards for 2008. Each GSRP award includes a $21,000 student stipend, a $5,000 student allowance, and a $4,000 university allowance. ECE Assistant Professor Kevin Repasky is the research advisor for both students. Working with Prof. Repasky, Amin Nehrir will study atmospheric water vapor and atmospheric aerosols and their roles in regulating the climate. He will develop a compact differential absorption lidar (DIAL) for gathering measurements of water vapor in the troposphere. Working with NASA's Langley Research Center, Nehrir will also design and build a compact infrared laser for use in a lidar atmospheric sensing experiment (LASE). This work will ultimately allow water vapor profiling in the lower atmosphere as well as analyzing cloud composition and its effect on climate change. David Hoffman will work with Prof. Repasky to develop a confocal cavity based optical filter for use in a lidar system. This special filter will enable atmospheric molecules and atmospheric aerosols to be studied separately, which is important for studying the extent of human impact on the earth's radiation budget. Hoffman's work will be incorporated into MSU's extensive suite of environmental remote sensing instruments. Similar filters may eventually be incorporated into space-borne lidar instruments in the future. NASA receives in excess of 1,000 applications each year for fewer than 300 fellowships, so we are delighted to have two student recipients in the ECE Department in a single year. Previous NASA GSRP recipients in the optics field at MSU include alumni Nathan Seldomridge, Mike Obland, and Paul Nugent. ECE Associate Professor James Becker will be on sabbatical during the fall semester to research nanoelectronics at the University of Illinois at Urbana-Champaign. 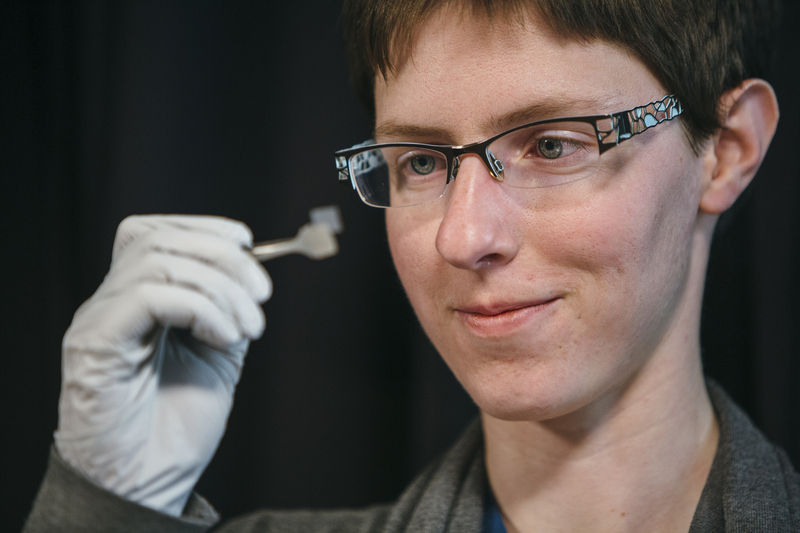 Becker will study carbon nanotubes--hollow cylinders roughly a nanometer in diameter that are made out of a two-dimensional carbon-based substance--and their suitability for high-frequency nanoelectronic devices, such as next- generation transistors. Prof. Becker will return to MSU for the Spring 2009 semester. Since 2003, the faculty and staff of the Electrical and Computer Engineering Department have been quietly donating money to a new scholarship fund at the MSU Foundation. The ECE Faculty & Staff Sponsored Scholarship Endowment had an initial fundraising goal of $15,000, and we are pleased to announce that as of May 1, 2008, the faculty and staff donations now total more than $17,860. The investment proceeds from the endowment will establish a new scholarship in the Department. We look forward to offering the first ECE Faculty & Staff Sponsored Scholarship in 2009! The Electrical and Computer Engineering Department awards more than $125,000 in competitively earned scholarships each year. We congratulate the achievements of all of our students and faculty, while we particularly recognize the exceptional academic accomplishments of these awardees! Eleven MSU ECE students traveled to Pocatello, Idaho, with faculty members Richard Wolff and Randy Larimer to participate in the spring IEEE regional meeting. Three student teams entered the Micromouse robot autonomous maze challenge and one team entered the student paper competition. MSU's Team Zigbot (Colin Shirley, Josh Smith, Monther Abusultan, and Clint Gramza) won the Micromouse competition! MSU Vice President for Research Tom McCoy has announced that ECE Associate Professor Steve Shaw will be the Associate Director of MSU's new Energy Research Institute. Steve will be active in identifying collaborative research opportunities, organizing and managing research teams, and creating a framework for energy innovation and research at MSU. The new Energy Research Institute is an umbrella organization for the $15 million in energy-related research that MSU scientists and engineers are already doing in clean coal technology, fuel cells, wind, coal bed methane and biofuels. The Institute will promote cooperation across campus, attract large-scale grants and contracts, and help enhance MSU’s national recognition in the energy field. Prof. Shaw will continue his research and teaching duties with the ECE Department. We congratulate Prof. Shaw on his new assignment with the MSU Energy Research Institute! Fifteen ECE students and faculty participated in a field trip sponsored by the IEEE student branch to visit the major wind farm located between Harlowton and Judith Gap, Montana. Invenergy’s wind farm currently comprises ninety 1.5 megawatt turbines collectively generating up to 135 megawatts of power. That means that when the wind is blowing with sufficient force, the wind farm produces enough power to supply the electrical needs of 40,000 homes. The power generator hubs are on towers approximately 250 feet tall. The fiberglass turbine blades are 126 feet long, and each turbine has three blades. The Judith Gap site has excellent characteristics for wind power generation: typical wind speeds 50 meters above the ground range from 15.7 to 17.9 miles per hour. The wind generation site is located along Northwestern Energy's 270-kilovolt transmission line that runs between Helena and Billings. Plans are underway to add 35 more 1.5 megawatt turbines, potentially boosting the production capacity by about 40 percent. Joseph A. Shaw, ECE Professor and Director, Optical Technology Center, Montana State University, has recently been honored as one of 72 new Fellows of the SPIE Society. Prof. Shaw's achievements in optical remote sensing technology and his service to SPIE and the general optics community were noted in his award citation. More than 500 SPIE members have become Fellows since the Society’s inception in 1955. Congratulations, Joe! SPIE is an international society advancing an interdisciplinary approach to the science and application of light. SPIE serves the interests of more than 188,000 active members from 138 different countries, and sponsors approximately 26 major conferences and education programs annually in North America, Europe, Asia, and the South Pacific. For more information, visit SPIE.org. ECE Professor Joe Shaw was the guest on Yellowstone Public Radio's weekly 30 minute feature broadcast, "RealTime with George Cole", on March 17, 2008. Prof. Shaw spoke about the need to be vigilant in protecting the dark night sky--especially here in "Big Sky" country. He also described several of the optics-related research projects going on here at MSU. and fast-attack submarine officer. He also previously earned a Master of Engineering Management from Old Dominion University. NSF awards only about 1,100 Graduate Fellowships nationwide each year among all science and engineering fields and just 300 specifically in engineering, so the Electrical and Computer Engineering Department is very proud to have two recipients in a single year. Congratulations, Sarah and Chris!Each of the prestigious NSF awards provides a $30,000 per year stipend for three years, plus additional funding covering full tuition and fees. Our latest nationally-recognized Graduate Fellows are in addition to ECE PhD candidate Andrew Dahlberg, who currently holds a three-year National Defense Science and Engineering Graduate (NDSEG) Fellowship. Andrew is conducting research in electrooptical systems and measurements under the direction of Prof. Joseph Shaw. On February 5-6, 2008, the ECE Department hosted a visit by two representatives of Astronics Advanced Electronic Systems of Redmond, Washington. Astronics is a leading provider of power generation, distribution, and control electronics for commercial and military aerospace platforms. Several MSU ECE alumni also work for the company. Gayle Keenan (left), Senior Manager, Human Relations, and Christine Ellis (right), Senior Manager, Engineering, presented information about the aerospace electronics industry and a variety of career opportunties for our IEEE student group. Ms. Keenan and Ms. Ellis also gave guest lectures in two of our regular classes. Astronics is a sponsor of a major undergraduate scholarship awarded annually to a student in the EE or CpE programs. The 2007-2008 Astronics Scholar is Patrick Menge. The MSU ECE Department is honored to receive scholarship support from outstanding companies such as Astronics. The ECE Department welcomes Ms. Pearl Nixon to our front desk administrative position. Ms. Nixon holds both a B.A. degree in Classics (Latin option) and a minor in Art History from the University of Montana-Missoula. She has excellent credentials in customer service, computer skills, and experience handling day-to-day office matters. Welcome aboard, Pearl! With the hiring of Ms. Nixon, Ms. Nancy Carrasco has moved to the Accounting Associate position in the ECE main office. Congratulations to Nancy for her new role in our Department. After writing technical articles for much of his career, Don Pierre has taken his writing in a different direction. The 70-year-old Life Fellow published his first historical adventure novel in August, Yesteryears Western Trek. The self-published book depicts the coming of age of a young man named Joey on his journey across the western United States during the 1860s. Parts of the story are written as a diary of Joey’s wagon-train adventures on the historic Bozeman Trail, which ran from Wyoming to Montana. “I’ve always been interested in writing a novel. I’m quite an avid reader—especially when it comes to Westerns,” says Pierre, who has a collection of more than 200. After retiring in 2000, Pierre joined a creative writing group for seniors and attended its weekly meetings. For years he’d been reading books on how to become a fiction writer, but the group gave him the motivation and support he needed. His first non-technical book was an autobiography. In 2001, he came across a two-volume set of historical books that inspired him to take his love of Westerns to the next level. Journeys to the Land of Gold [2000, Montana Historical Society] featured excerpts from 33 journals written by people who traveled the Bozeman Trail in the 1860s. Fascinated by their real-life adventures, Pierre began brainstorming ideas for a novel. He used a lot of what he learned from the journals in his novel, which includes aspects of the Gold Rush, the Civil War, and the telegraph replacing the Pony Express. It wasn’t long before he had the plot figured out. It took him a month to outline what each chapter would cover, and then he spent two years writing. He had trouble finding a suitable publisher, so he published the book himself. Now that his first novel is on the shelves (it sells for US $10), he doesn’t plan on stopping. “I’ve got a few ideas in mind for more,” he says.